SYDNEY - Leading Malaysian politician Anwar Ibrahim claimed Friday (Jun 1) that Australia was complicit in alleged corruption by the former government as he called on Canberra to send home a policeman implicated in a murder scandal. Former opposition leader Anwar slammed Canberra's "tainted" policy towards ousted prime minister Najib Razak's administration, which was sensationally ousted in last month's election. Anwar, who was jailed by Najib in 2015 and released after the election, said Australia had always made "extremely supportive" statements about Najib's administration. 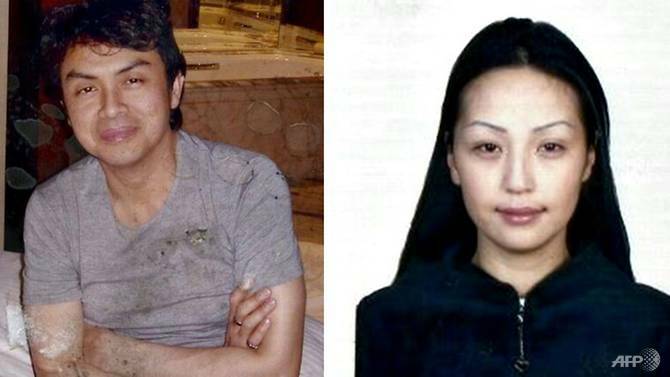 He cited the high-profile case of a policeman, now in Australian custody, who fled Malaysia after being sentenced to hang for the killing of a Mongolian model linked to a Najib government bribery scandal. "It's time Australia accepts the fact that some of their foreign policy clearly has been tainted, has been perceived by many Malaysians as complicit, or tolerant, of the crimes of corruption and also criminal actions," the 70-year-old told ABC radio Friday. "So I think the Australian authorities need to do their utmost to make sure that this is corrected and that means (former police officer Sirul Azhar Umar) should be allowed to come back. "(He should) be given security protection, to say the truth and let a new trial that is clearly transparent and just to proceed." Sirul has claimed he was ordered by "important people" in 2006 to murder model Altantuya Shaariibuu - the mistress of a Najib associate accused of arranging kickbacks for the purchase of French submarines. Anwar, the presumptive successor to 92-year-old Prime Minister Mahathir Mohamad, said he was willing to move on as relations with Australia need to be "extremely cordial". Australian Foreign Minister Julie Bishop defended Canberra's previous relationship with Najib and said she was "looking forward to a close and productive relationship" with the new government. "Our positive and broad-based ties with the previous administration enabled us to collaborate on matters that were in both Australia and Malaysia's national interests," Bishop said in a statement. "We do not seek to impinge on the sovereignty of other countries, just as we expect other countries not to interfere in our political affairs." Australia's home affairs department, which manages the Sydney detention centre where Sirul is being held, told AFP Friday it would not comment on individual cases.